WOLF LAKE — Sarah L. “Sally” Reed, 89, of Wolf Lake, passed away on Thursday, May 17, 2018, at Presence Sacred Heart Nursing Home in Avilla. She was born on October 26, 1928, in New Haven to the late Norbert and Clara (Bowlby) Ladig. On July 4, 1950, she married William Reed, who preceded her in death in 1982. 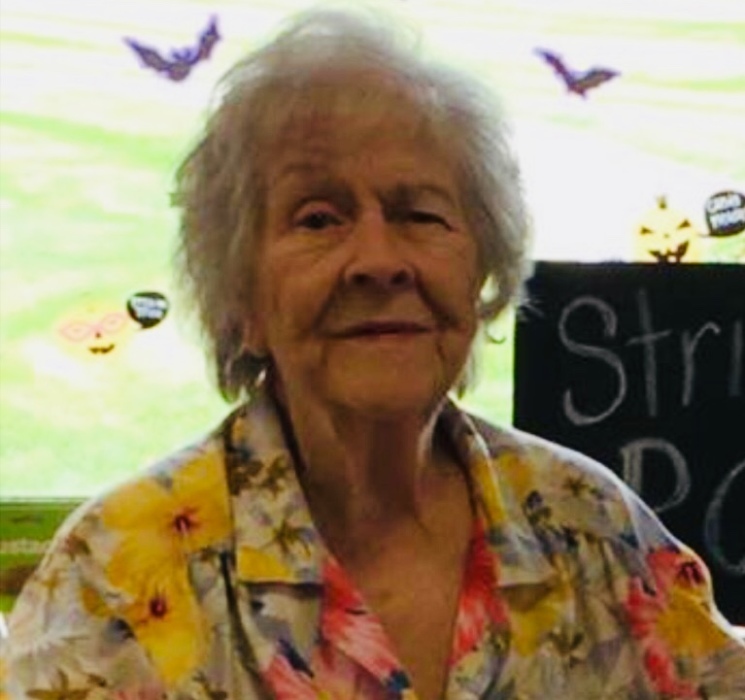 She loved to play bingo, euchre and shuffleboard and was known by many as the “cookie lady.” When Sally was not enjoying a game of euchre with her family, she could be found baking. Survivors include her children, Buddy (Janet) Waters Sr. of Adel, Georgia, Carol (Phil) Ladd of Kimmell, Sandy Stader of Washington, Indiana, Terri (Chuck) Russ of Kaufman, Texas. Also surviving is a sister, Norma (Harold) Davidsen, Syracuse, Indiana. Also surviving are grandchildren, Traci Fowler, Staci (Mark) Renser, Jodie Ladd, Carri Joseph, Stephanie (Tim) Terrell, Buddy Waters Jr., Carl (April) Waters and Kelli Hoke; and 12 great-grandchildren. She was also preceded in death by an infant son, Max; and two brothers. Funeral services will be 2 p.m. Tuesday, May 22, 2018, at Harper Funeral Homes, Albion Chapel, 771 Trail Ridge Road, Albion, with visitation from noon-2 p.m. Burial will take place at Wolf Lake Cemetery. Contributions in Sally’s memory may be directed to Wolf Lake Baptist Church. To leave online condolences or sign the online guest book, visit www.harperfuneralhomes.com.